A couple dozen fans took seats around Decade on Sunday for a friendly evening of stripped-down pop and folk music. New Yorkers Emily Yacina and Yohuna accompanied each others' sets as the coffee machines hissed and the hushed crowd looked on. 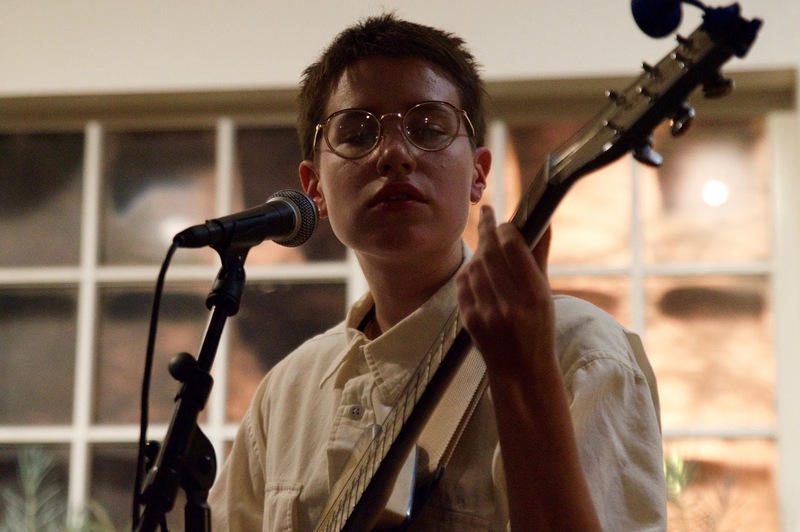 Yacina's set consisted of tender bedroom pop songs meant to pull at the heartstrings, while Yohuna's drum machine dream pop created a more hazy, ambiguous mood. Local support was provided by Dead Dads Club, whose set was undermined by a faulty amplifier loaned to her by a friend. In her few uninterrupted moments, however, her voice still shined -- despite a minor cold. Lawrence singer-songwriter Brendan Mott opened the show with a set of folk-inspired, heart-on-sleeve tunes that utilized a series of distractingly gruff and booming shouts.